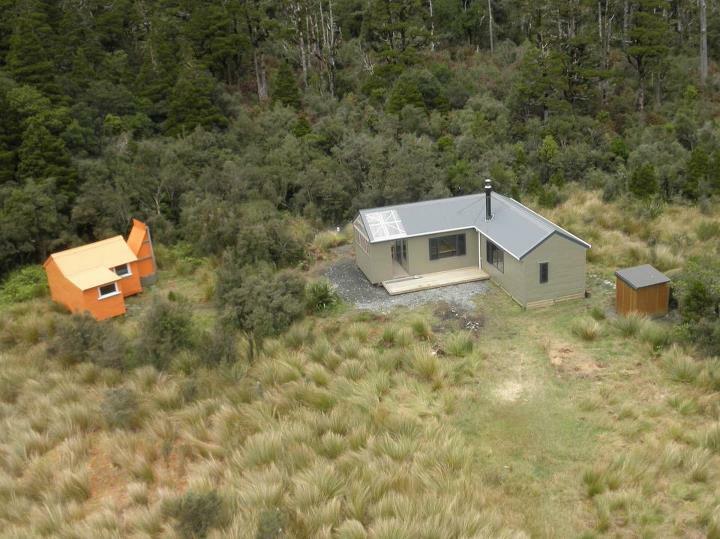 The Cedar Flat Hut near Hokitika has recently been renovated and extended to provide 12 bunks alongside the two extra bunks in the adjacent historic 1957 deer cullers’ hut. 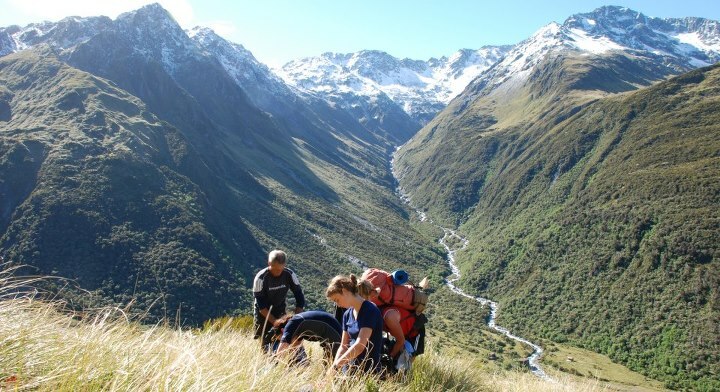 For every tramper, following the walk up the steady terrain of the steep walled Toaroha Valley, with the Toaroha Ridge to the East and the Deidrich Range dominating the west of the valley, a base at Cedar Flat is a gateway to Hokitika’s backcountry and offers a variety of options. The huts are part of a network of huts, bivs, swingbridges and tracks up the valley and onto the tops. The choice of direction, difficulty and duration are yours! The creek and hot springs are close by and you can wander up to the Toaroha Gorge, with its gorgeous blue water tumbling over jumbled rocks, only 0.5km away. Enjoy the views as you look down from the swingbridge. A day trip will take you to the alpine tops and back again. Adventure Biv at the bushline is well worth the climb for stunning views. 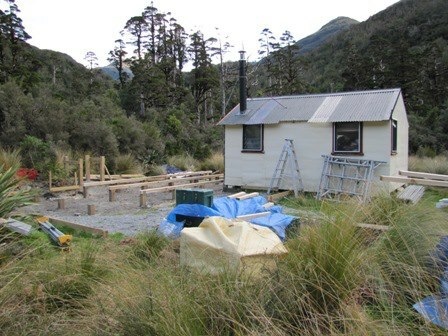 DOC has been working hard in recent years to provide a network of maintained tramping tracks and huts that allow easily accessible circuits. Two of the favourites among trampers are the Top Toaroha/Whitcombe circuit and the tougher Toaroha/Zit Saddle/Kokatahi/Lathrop Saddle/Styx River Route, both of which start from Cedar Flat. The first, heading towards the Whitcombe, although challenging does not have the very steep slopes of the circuit over the Zit and Lathrop Saddles to the Styx. Both will need experienced navigation skills in the group but will reward you with a remote back country paradise and views to go with it. The open flat, with plenty of room for camping and an ideal light and airy place for a hut, is ringed by cedar trees as its name suggests, as well as mixed rata and kamahi forest. A useful note for trampers on colder nights, cedar doesn’t burn! In fact it has even been used to line chimneys including the original chimney in the historic Cedar Flat Hut. 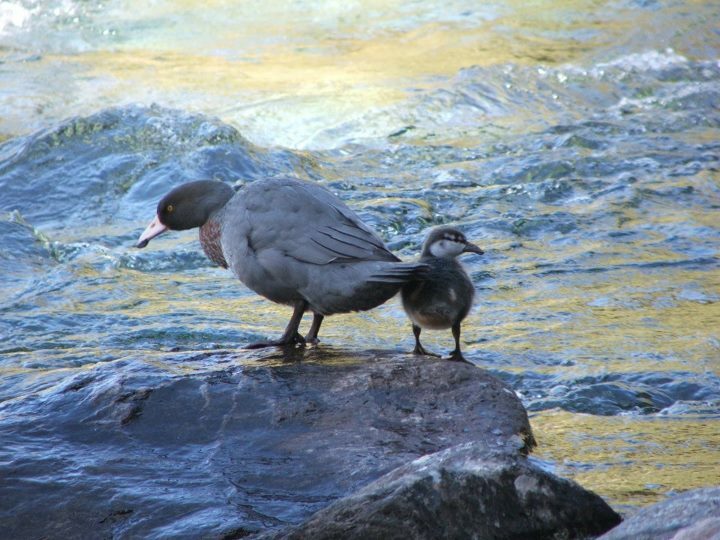 On the way up to the hut, you may be fortunate enough to see the elusive whio or blue duck, which is clinging to survival in the valley. The start of the Toaroha Valley was initially a source of timber, particularly rimu, and later, when hot springs were found at Wren Creek beside Cedar Flat, accommodation was built for visitors to the springs and the then Westland County Council improved access up the valley by forming a pack track to the springs. The springs are not easy to find, though a track to the right area of the creek is signposted. A shovel is usually close by so that new ponds can be dug out. Careful study of the area, along with clues from the hut book, could lead you to the treasure of a personal hot pool! The hot springs accommodation became the original base for hunting in the late 1930s and early 40s and a new purpose built hut was built on the opposite side of the river, in its current location in 1957. 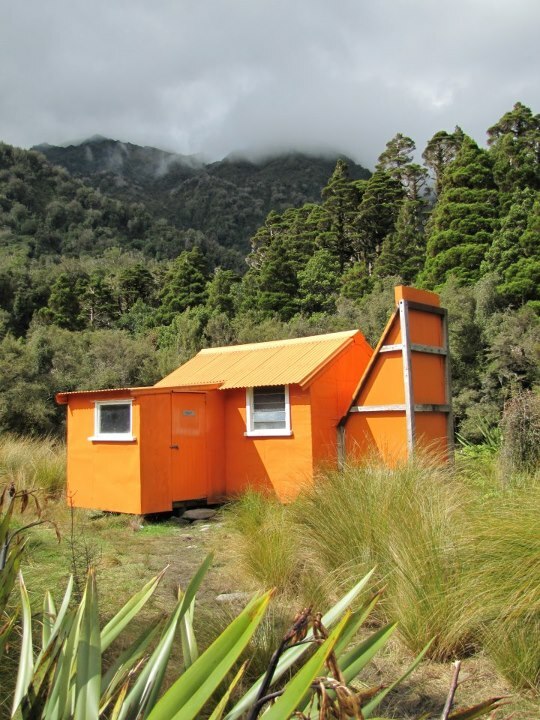 The historic hut is a rare and the best example of the regional hut design from the early stage of wild animal control under the New Zealand Forest Service, before national standard designs were used. The hut was built using some locally sourced and hand worked timbers; the form of wood working expertise is no longer used and now only known by a few people. Visitors to the hut will have the opportunity to stay in the historic hut, which provides a unique experience seldom so easily accessed. The later six bunk hut, built in 1968, was proving inadequate and a large hut was proposed to replace both smaller huts. 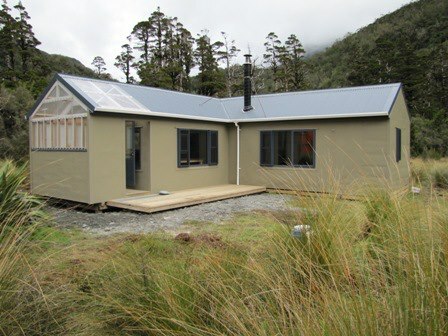 However, the historic values of the old hut have been recognised and, by extending the newer hut while retaining its look and feel, enjoyment of the old hut and its setting has been maintained. Tremendous feedback on the extended and restored hut has been received from visitors, particularly experienced trampers. It has great views of the surrounding tops, where your next day’s tramp could take you. As with all trips into the backcountry, it is important to be prepared and to leave your intentions with a responsible person. A good level of fitness is recommended for tramps within the Toaroha Valley and if the river is up, the marked flood routes should be used. A higher level of fitness and good navigation skills are important for the longer tramps.